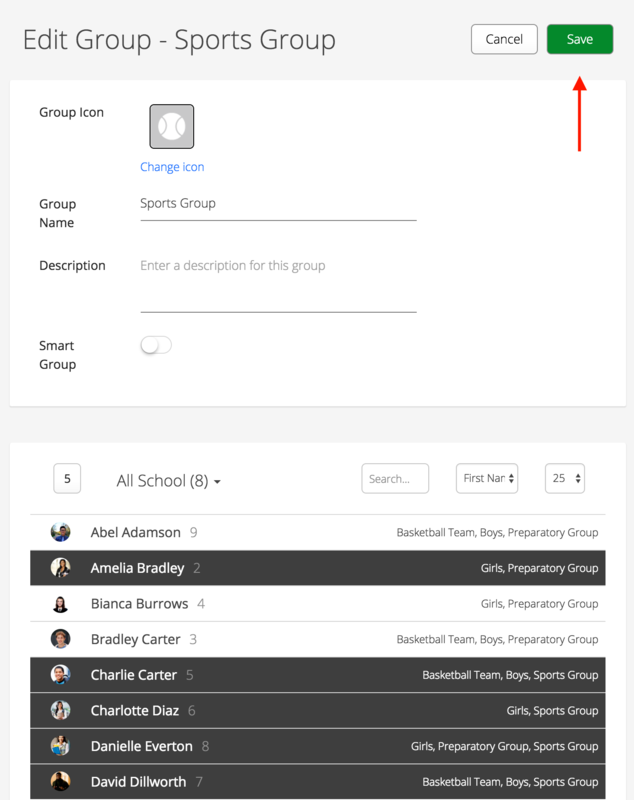 First navigate into your School Management Menu (Admin Only) > School Groups section. Then simply click the pencil icon on the right. For information on editing a Smart Group please refer back to this guide.